It is a simple, but appealing blog template with attractive color scheme. You can use this template as a blog or a platform, where you can promote your products or services. 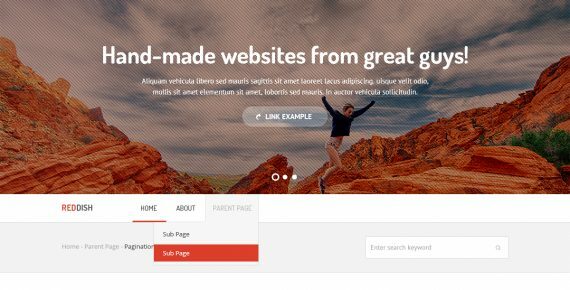 This template is perfect for Wordpress or any other custom blog engine. 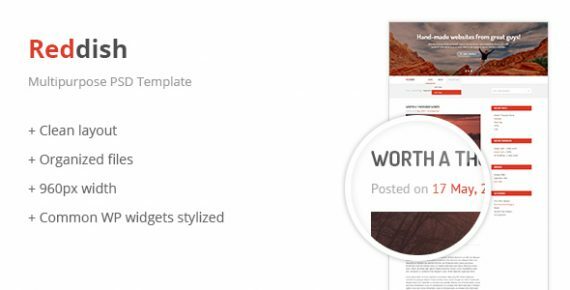 Reddish is a simple, but appealing blog template with the attractive color scheme. You can use this template as a blog or a platform, where you can promote your products or services. This template is perfect for WordPress or any other custom blog engine. Technologies used: 960gs, Adobe Illustrator, Adobe Photoshop, Graphic design.